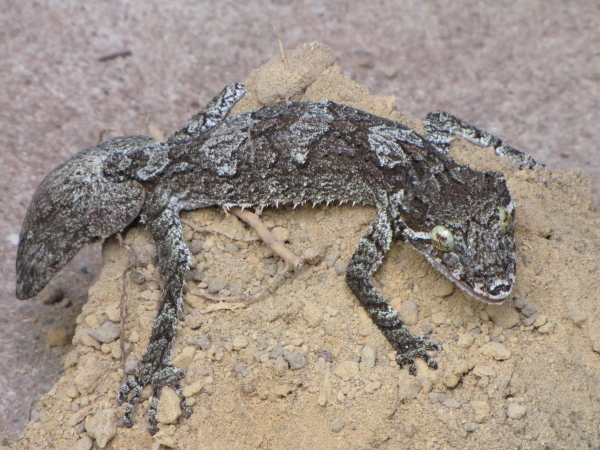 Digging a trench through the rainforest has its rewards: A northern leaf-tailed gecko (Saltuarius cornutus) fell out of the canopy close by, hotly pursued by a spotted catbird. The catbird was quite persistent in its effort to get to its prey, and human intervention was not what it had expected. 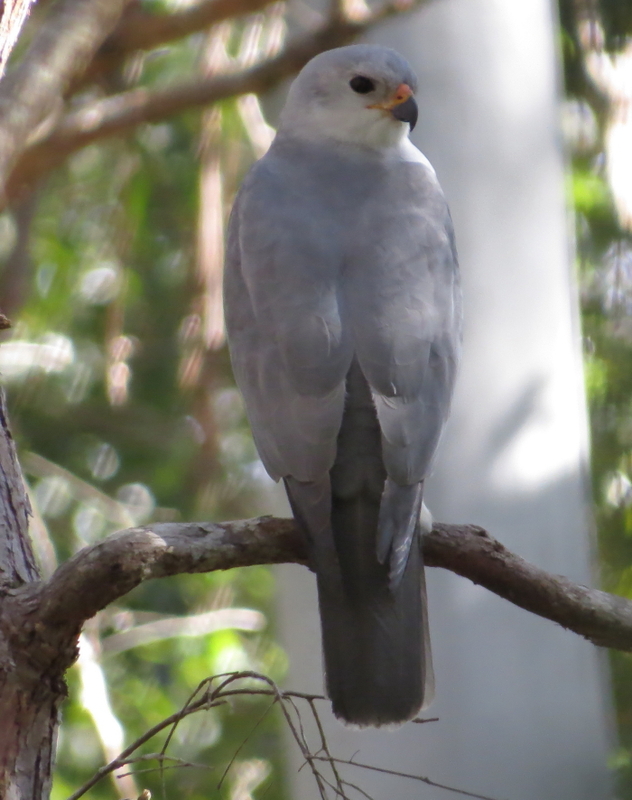 We wouldn’t have thought a catbird might be preying upon a gecko almost its own size. 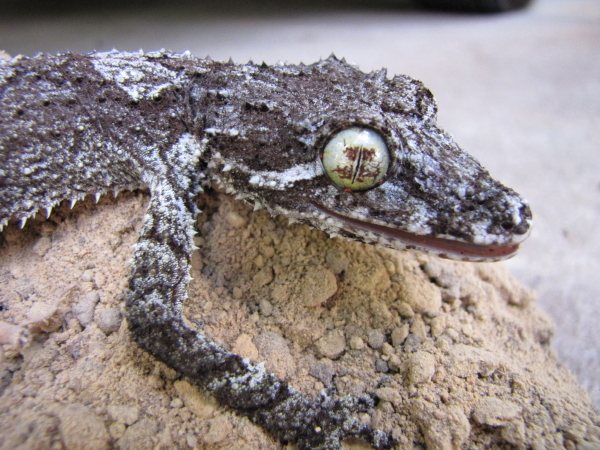 This gecko’s tail is not the original one (it is smoother, not as spiky) : they can regrow a new tail after injury or deliberate discarding ( in order to distract a predator, while making a get-away – the discarded tail even wriggles around for a while). Now that it is getting warmer, reptiles are more active. 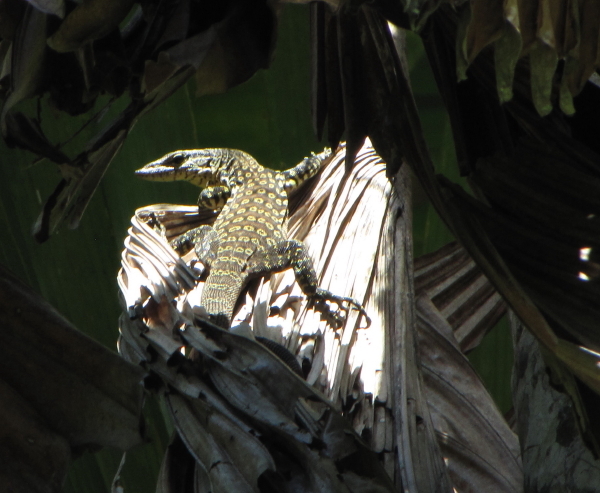 Our resident spotted tree monitor (Varanus scalaris) is clambering up and down its favourite post on the cabin every day, and we are encountering more snakes. A female water dragon (Physignathus lesueurii) was observed laying eggs in a small sandy hill very close to a creek and only about 1 metre above the waterline. 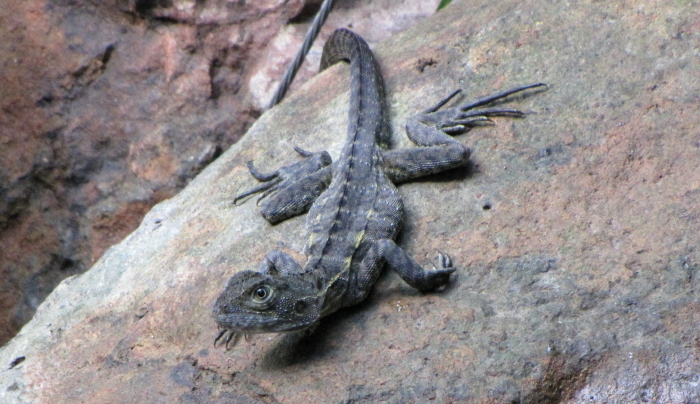 The last 2 years we watched a water dragon digging her nest about 20 metres from the creek, and several metres higher. Could this mean that there won’t be any flooding rains in the foreseeable future? The eggs take about 2 months to develop.